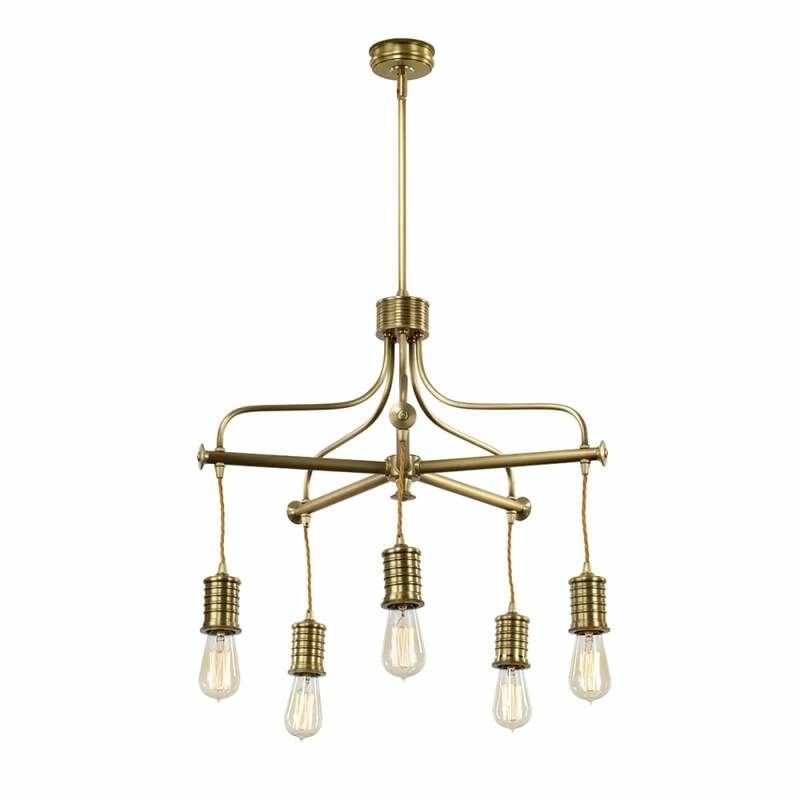 Intricate, yet not overly embellished – Douille’s 5 Arm Chandelier achieves perfect balance with its mobile-like arrangement of vintage style bulbs suspended on an elegant framework. Optional glass shades can be fitted to complete the look. Alternative finishes of Polished Nickel, Aged Brass and Black/Polished Brass are available, as are pendants, wall lights and table lamps in matching styles. View All Elstead Lighting for more information on Douille or view the complete Douille Collection.